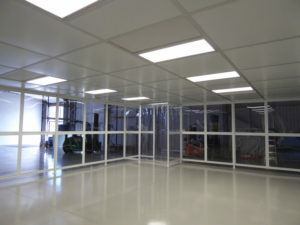 NGS Cleanroom Solutions recently completed a softwall cleanroom installation in Newcastle UK. 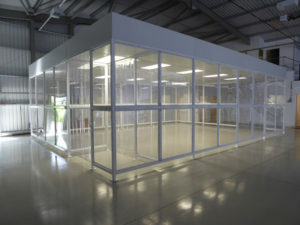 The build is not strictly a softwall cleanroom but consists of NGS designed Polycarbonate Panel walls (NGS Poly-wall). 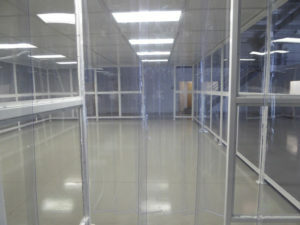 The cleanroom structure was built in-house by the Cleanroom Solutions sister company NGS Products. 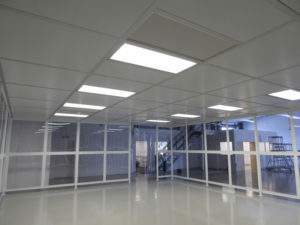 The cleanroom design includes Task LED lighting to 900 LUX, 4 fan filter HEPA units and a strip curtain for easy access. 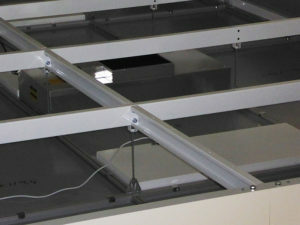 The clip below shows a time laps video for the build process. 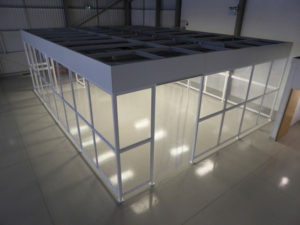 NGS Cleanroom Solutions © 2015. All Rights Reserved.